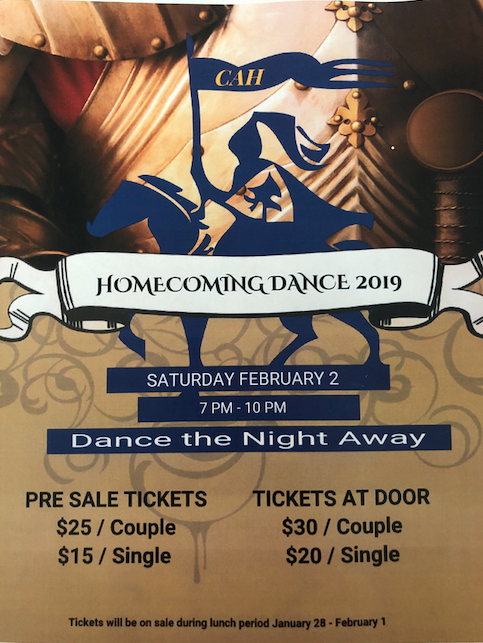 Saturday February 2, 2019 from 7-10pm in the high school cafeteria. Finger foods, drinks and photo booth are included in the price of the ticket! If you have any questions please contact jkkpoindexter@yahoo.com.